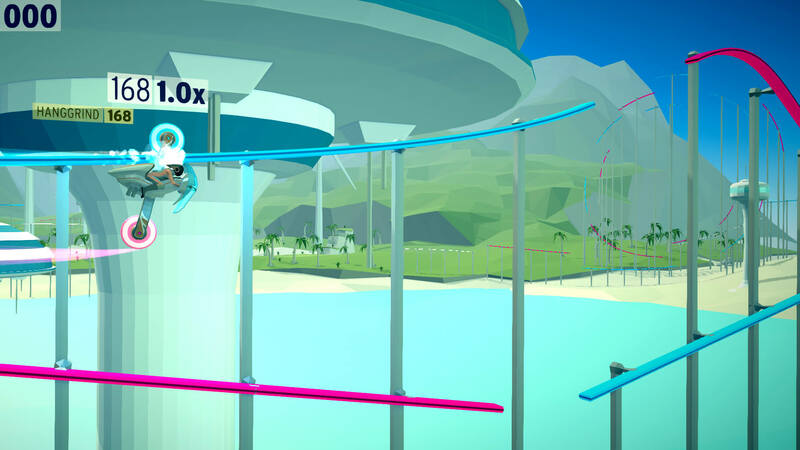 FutureGrind is a futuristic stunt-platformer game. 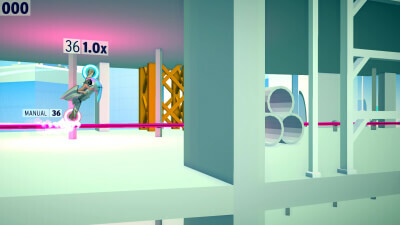 We think it’s a bit like Uniracers meets OlliOlli. Played on a track made of rails that run through a 3D environment, you control a futuristic, motorcycle-sized vehicle called a “grinder”. Your grinder has two wheels: one blue, and one red. 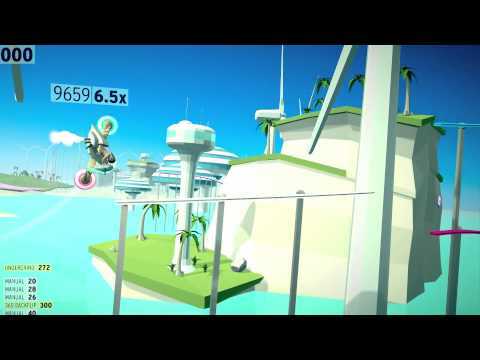 You have to get from the start of the track to the end in one piece, while scoring the most points possible. Be careful: do NOT let the wrong wheel touch. Your blue wheel can touch blue rails, your red wheel can touch red rails, but touch the wrong rail and you’ll cause a short circuit. Watch out, short circuiting leads to, well, a bit of a mess.